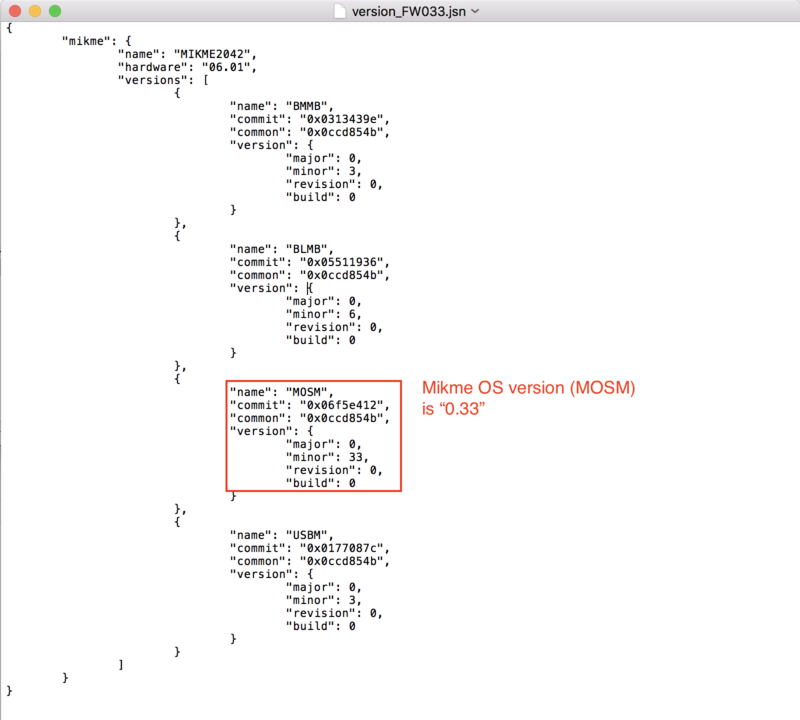 [HowTo] Where do I find my Mikme OS version number? Learn how to identify the version number of your microphone's Mikme OS (firmware), Bootloader, Bootmanager and USB manager. B - manually via USB with your computer. When do I need this information? 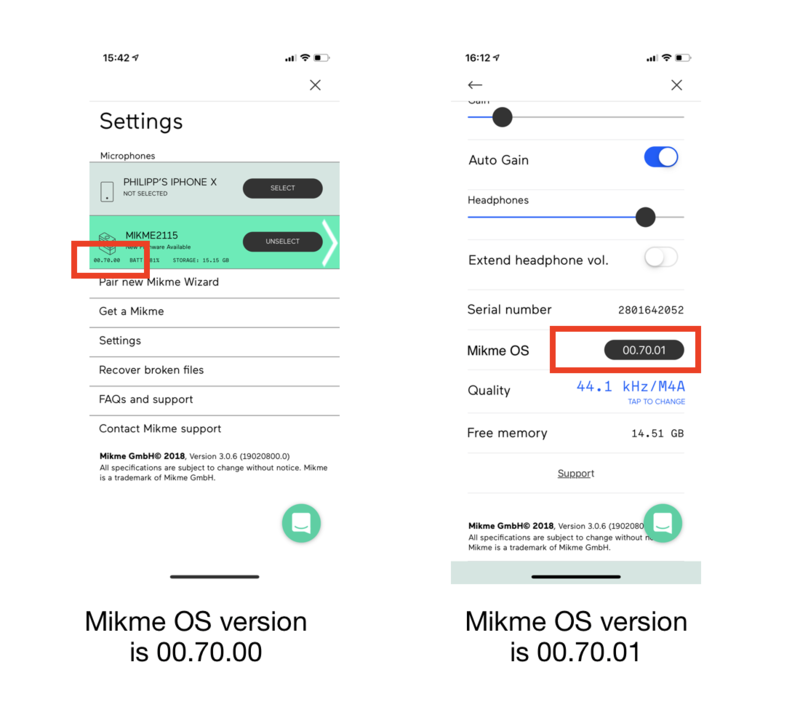 You will need this information to check if the Mikme OS (firmware) installed to your Mikme Microphone is the latest Mikme OS available. It is important to keep your Mikme OS up to date to have access to all the latest features and keep the bugs away. Go to the app settings if you have your Mikme selected. There you find the Mikme OS version of your Mikme Microphone at the settings screen of the page as well as in the settings screen of the Mikme Microphone. follow these steps to find the Mikme OS version number if you have no Mikme App. This requires a computer and a USB cable. Read this article if you don't know how to connect your microphone to your computer. Use the included USB cable to connect your Mikme. Open the Mikme external storage icon in your Explorer/Finder to access the files in your Mikmes root folder. Open the Version.jsn file you can find in the root folder of your Mikme. Use a TextEdit App to open the Version.jsn file. The version of your Mikme OS (MOSM) in this example is 0.33. ... will be of interest for you. The actual version of Mikme OS can be found at www.mikme.com/update. If necessary update your Mikme Microphone to the latest Mikme OS firmware. Follow this link to find out how you can do this.